In the Loeb Dance Studio, two dancers from the Harvard Ballet Company run through a piece choreographed to the opening theme of Stanley Kubrick's "2001: A Space Odyssey." The piece is one of many that comprises the space-themed "Out of Orbit," a collaborative project between the Harvard Ballet Company and the Harvard Pops Orchestra. 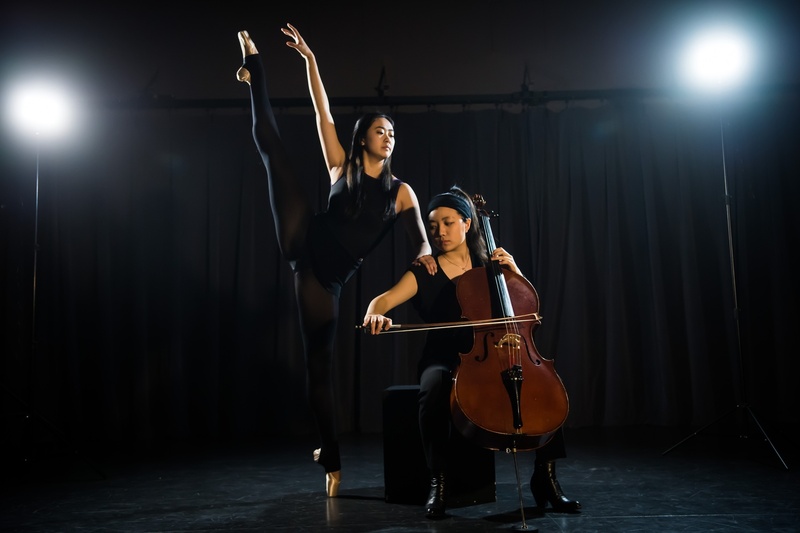 "Out of Orbit" will combine classical ballet and music from popular film, classical composers, and contemporary artists to bring outer space to the Loeb Mainstage. “[Harvard Ballet Company] wanted to try and move away from a ‘recital’ type of show,” co-director Mara G. Milner ’20 says. “We wanted to blend something together that had the fun aspects of Pops and that still maintained the professionalism [of] a ballet company.” “Out of Orbit” is a stylistic departure from the company’s typical productions, but Milner hopes that the collaboration with the Pops will engage a wider range of audiences. Milner explains that “Out of Orbit” will not follow a strict storyline, but will instead explore distinct energies, moods, and themes by way of its many individual pieces. 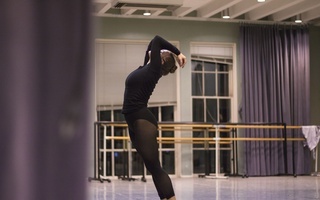 Alexandra D. Caffrey ’19, a dancer and co-producer, describes each piece as driven by different ideas of space that a choreographer had in mind. “People are taking ‘space’ very literally in certain pieces… In other pieces, it’s more of an abstract idea,” says Caffrey. The choreography to one piece, she mentions, was inspired by eclipses; to another, by constellations. The music is also tied to the theme. “I hope that people who have never considered seeing a dance show before will find [“Out of Orbit”] an accessible and exciting production,” dancer Angie Cui ’20 says. Cui hopes something about “Out of Orbit”—whether its space theme, theatrical qualities, or combining several forms of media—will help bring dance and ballet to the forefront of performing arts at Harvard. “Out of Orbit” will run from Mar. 29 to Apr. 7 on the Loeb Mainstage. — Staff writer Patricia M. Guzman can be reached at patricia.guzman@thecrimson.com.